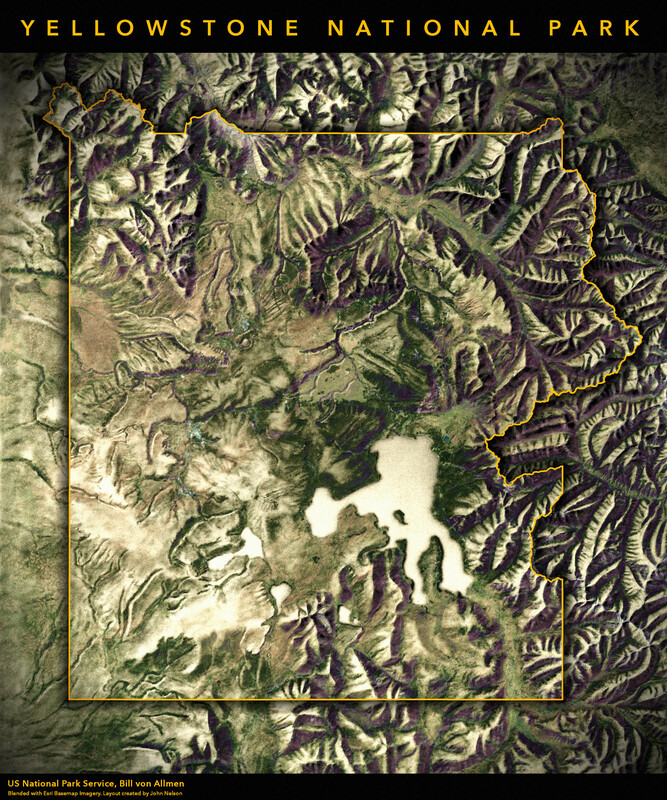 Here is a vintage style poster of Yellowstone, blending a beautiful hand-drawn grayscale hillshade by Bill von Allmen in 1983, from the Shaded Relief Archive, and modern satellite imagery. So fun. Who’s got it better than us? Wonderful map and video, John! The best thing is that you walked and talked us through your creative process, showing the trial and error that is involved. Some people might say that artistry can’t be taught, but I think you show that it can. It requires learning how to think like a creative cartographer. Thank you! I hope you will make more tutorials like this.